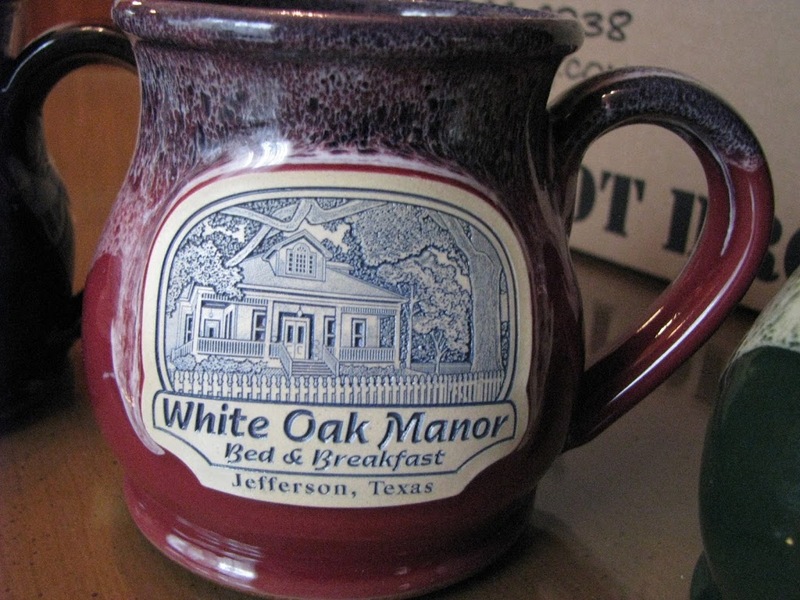 One of the many bed and breakfast amenities we offer at the White Oak Manor includes our signature handcrafted mugs. 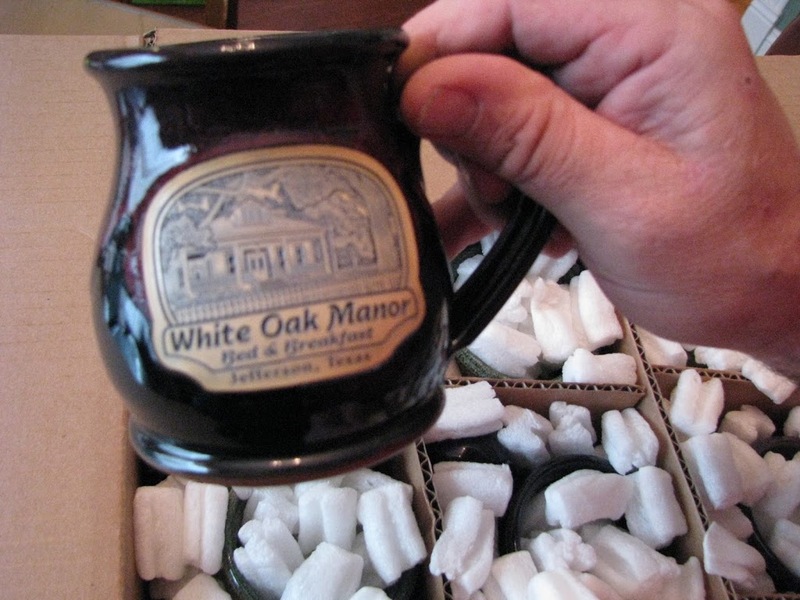 This past week we received our new mugs from Deneen Pottery which is family owned and operated hand making pottery items since 1972. You can’t help but wrap your hands around these mugs, feel the warmth from your coffee and smile at the thought of that first sip! 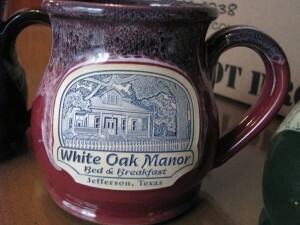 At our bed and breakfast in Jefferson Texas we know the feeling well and knew that our guests would appreciate the craftsmanship of the mugs. We know that our guests like to take home a little reminder of their stay so we got enough just for you in a choice of three different colors. As you can see I just had to have the first cup of tea in one of the Green mugs……Oh so good! 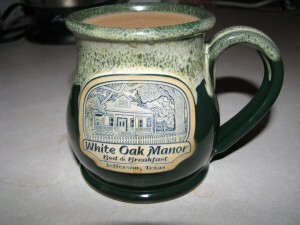 This entry was posted in Bed and Breakfast by Tammy D. Bookmark the permalink. They do such a great job (Deneen) they look terrific! I love the green one, with the two tone they look like one of the potters on Block Island that we collect. Thank you H. Turner, we love everything Deneen Pottery makes especially the mugs.